What is it really like to move into an assisted living community? 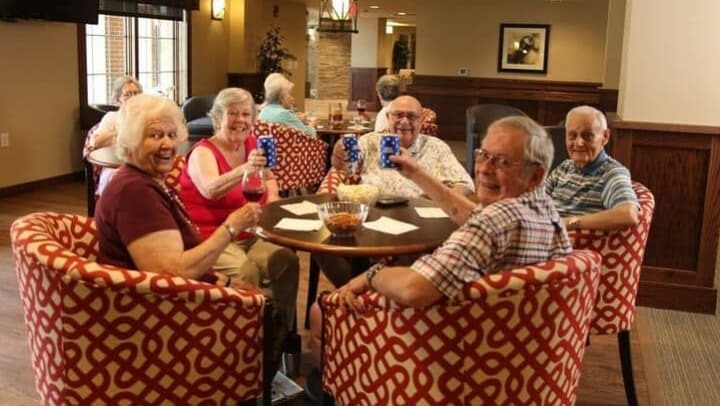 Maybe you’ve heard friends talk about the great experience their parents have had in a senior living community. Then again, maybe you’ve heard some not-so-good stories. The truth is, not all assisted living communities are created equal. They vary in the way they look, the services they offer ­– ­and the quality of care they provide. Even when they both look great on paper, two communities can feel very different from one another. It’s important for potential residents to find the place that feels like home. For Heritage residents, “home” is marked by several key features. Maybe your parent is a social butterfly. Or maybe your parent is an introvert who prefers to spend time with one or two close confidants. Wherever your parent falls on that spectrum, social connectedness is important for health and well-being. For many older adults, assisted living is an opportunity to Live Better. The best way to find the right fit is to see communities in person. To learn more about Heritage Assisted Living, find a location near you, and schedule a tour.